When in Korea, Jean-noona was the best sister, ever, and definitely helped make my experience there a happy and memorable one. Riding bikes, talking (and listening to me, a lot), consuming tons of food, hanging out at the studio, and walking around Hongdae are just the tip of the iceberg when it comes to describing the fun we had. Five months after I departed Seoul, we’re both here in San Francisco… probably one of the most unlikely meeting places for us, yet, here we are. Despite her not sleeping for nearly two days, Jean-noona, Doohong-hyung, and I had fun eating burritos, watching dogs play in Duboce Park, and then taking coffee at the Cliff House overlooking a very foggy Ocean Beach. And today’s one more thing? Half-way through the evening, I realized that she hadn’t spoken a single word of English to me and we had still managed to have no problems communicating. Maybe I haven’t lost my Korean after all! I’m definitely looking forward to the next 10 weeks! 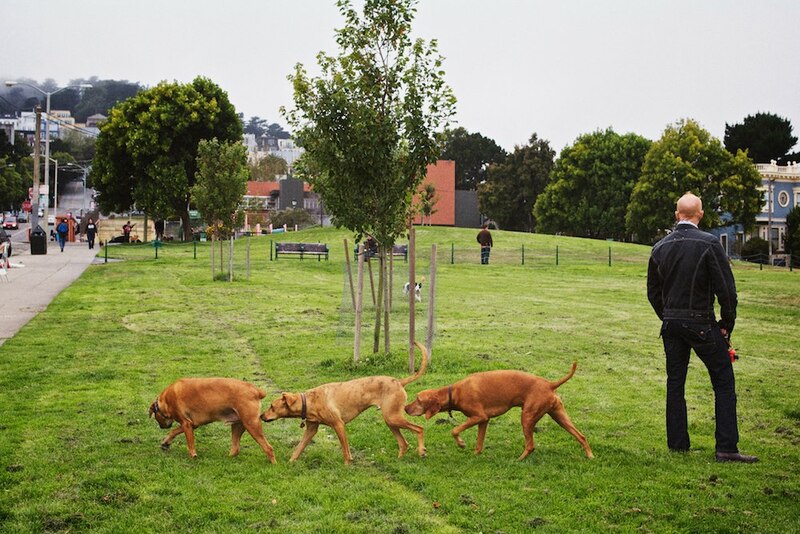 Dogs at Duboce Park… what are you doing?! Doohong-hyung feeling very cold and probably wishing he was inside. 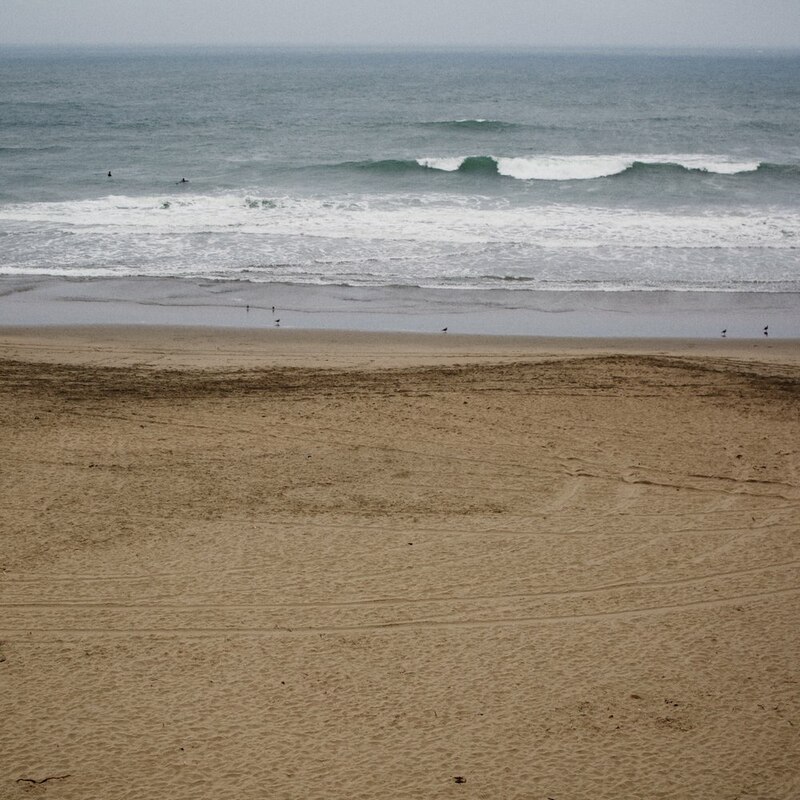 Ocean Beach was a cold, mostly deserted (save the surfers) strip of sand with a serious amount of fog rolling in from the Pacific. 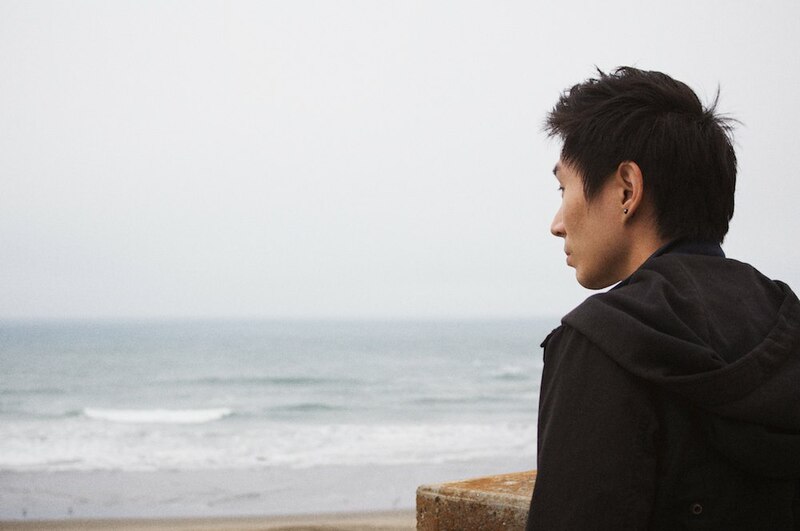 This entry was written by Jungho, posted on 2011-08-18 at 08:31, filed under Return to Reality, San Francisco Déjà Vu and tagged california, doohong-hyung, fog, friends, jean-noona, ocean beach, san francisco. Bookmark the permalink. Follow any comments here with the RSS feed for this post. Post a comment or leave a trackback: Trackback URL. I still think that there’s something really friendly, warm and wonderful about your friend’s face. I can’t figure out why and it’s bugging the bejesus out of me!